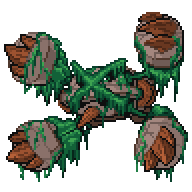 Delta Metagross (Ruin) is a dual-type Rock/Grass Delta Pokémon. It evolves from Delta Metang (Ruin) at level 45. 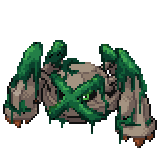 It is the final form of Delta Beldum (Ruin). 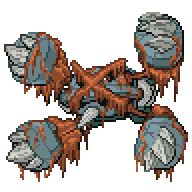 It can Mega Evolve into Mega Delta Metagross (Ruin) using the Delta Metagrossite (Ruin). 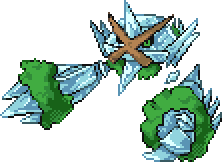 It can Crystallize into Crystal Delta Metagross (Ruin) using the move Crystal Rush, though this feature is currently not available. 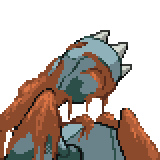 After two altered Metang fuse into this Pokémon, all but the exterior of its body is composed of crystal. 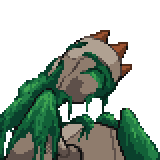 Additional crystals allow it to break free of its rocky shell. 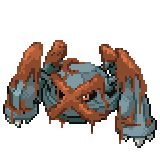 A level of "Start" indicates a move that will be known by a Delta Metagross (Ruin) obtained at level 1. Crystal Delta Metagross (Ruin) is the only Pokémon to gain stab from Crystal Rush as both are the "Crystal Type" (shown as ??? type in game). 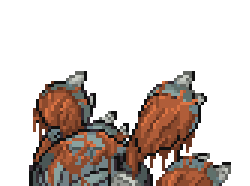 Currently, no back sprite or Shiny form for Crystal Delta Metagross (Ruin) exists within the files for the game, possibly due to the fact that this feature doesn't work for players yet. 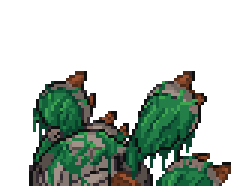 This page was last edited on 18 March 2019, at 23:27.